Who is at risk of resigning? Who should be considered for a promotion or a new role? When will you fill a key role? Predictive analytics provide incredible opportunities to curb costs and improve performance, and Visier’s proven, machine learning-based predictive analytics are included in our solution. And because you can include your historical data in our solution, you can begin leveraging our predictive technology right away. Benefit from predictions that are up to 17 times more accurate than other approaches. Visier’s predictive engine uses random forest classification—a best-practice machine learning technique—and combines classification with regression. 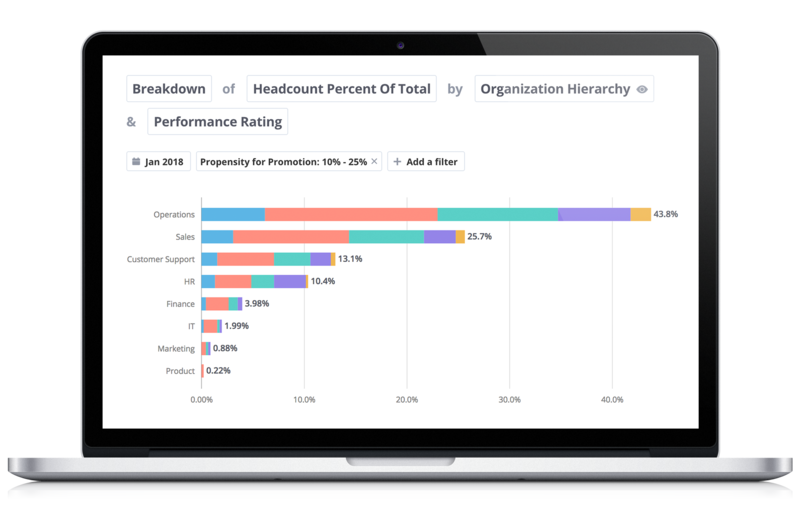 Predict exits, promotions, internal movement, and more. Predict which employees are most likely to leave or change jobs and plan accordingly. 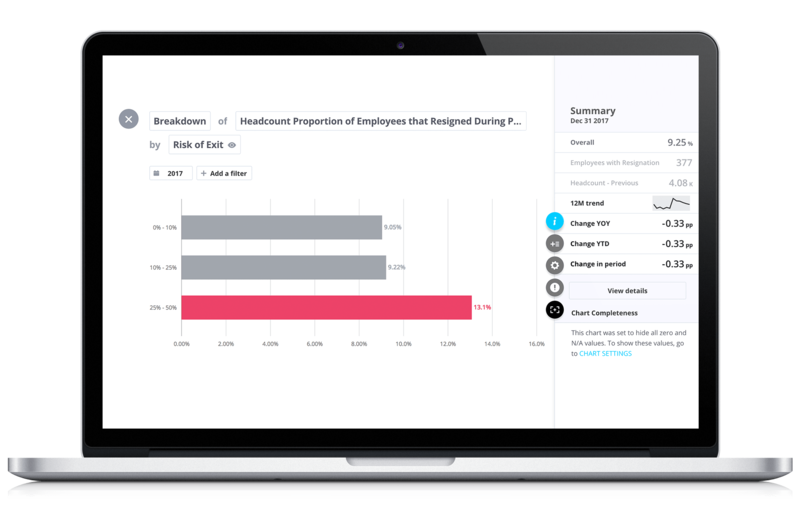 Predictions are continually trained on current employee data and events including promotions, resignations, and internal hires so that you can predict and plan for change, instead of just reacting to it. Increase the trust of your stakeholders by using Visier People to confirm exactly how accurate your past predictions were, or to show how your intervention managed to turn the tide. 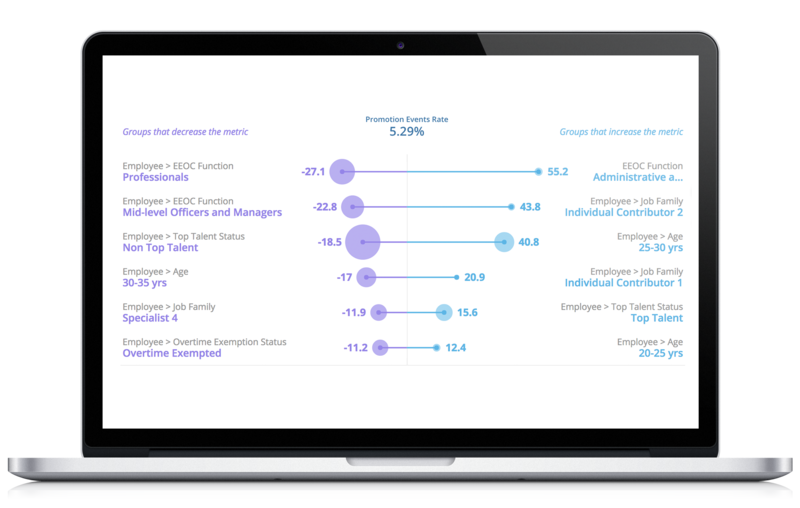 Discover and report how close the number of actual exits, promotions, and internal moves were to their predicted values. 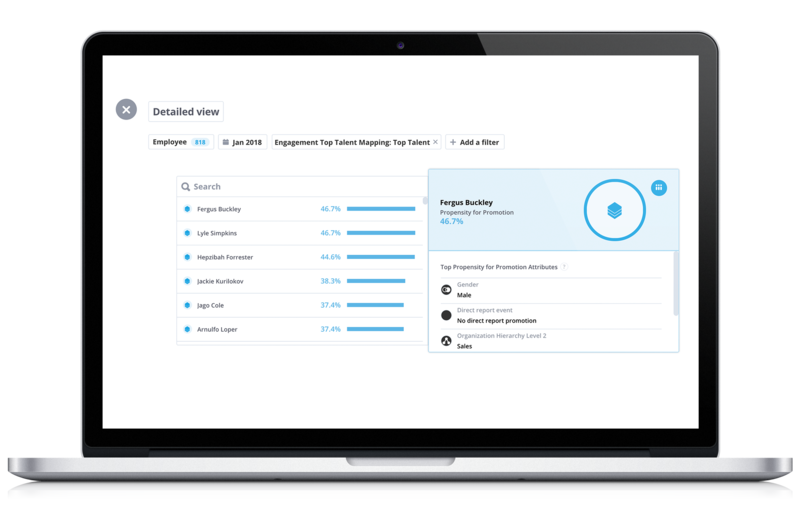 Easily configure and personalize exactly which employee attributes the Visier People solution should use in training each predictive model. Select the attributes that are most appropriate for your organization, and remove attributes that could lead to unintended bias.